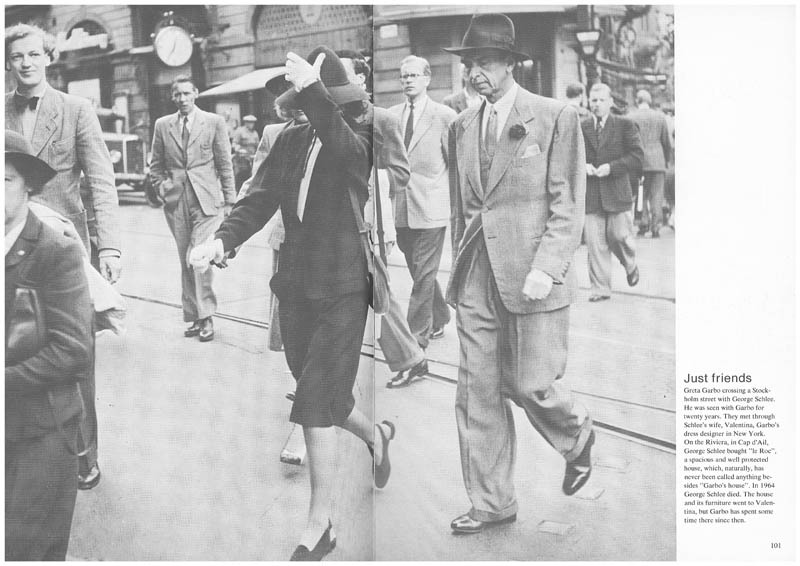 Greta Garbo crossing a Stockholm street with George Schlee. He was seen with Garbo for twenty years. They met through Schlee‘s wife, Valentina, Garbo‘s dress designer in New York. On the Riviera, in Cap d‘Ail, George Schlee bought “Le Roc“, a spacious and well protected house, which, naturally, has never been called anything besides “Garbo‘s house“. In 1964 George Schlee died. The house and its furniture went to Valentina, but Garbo has spent some time there since then.